Where to check. Defaults to current directory. Use -g for checking global modules. -g, --global          Look at global modules. -s, --skip-unused     Skip check for unused packages. -E, --save-exact      Save exact version (x.y.z) instead of caret (^x.y.z) in package.json. --no-color            Force or disable color output. --no-emoji            Remove emoji support. No emoji in default in CI environments. --debug               Debug output. Throw in a gist when creating issues on github. 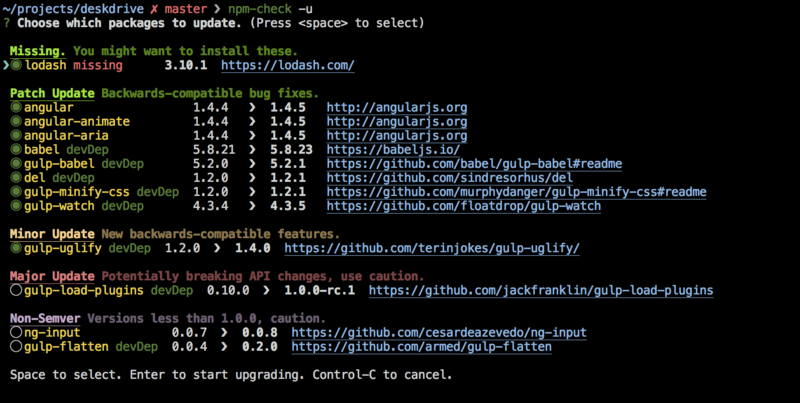 $ npm-check           # See what can be updated, what isn't being used. $ npm-check ../foo    # Check another path. 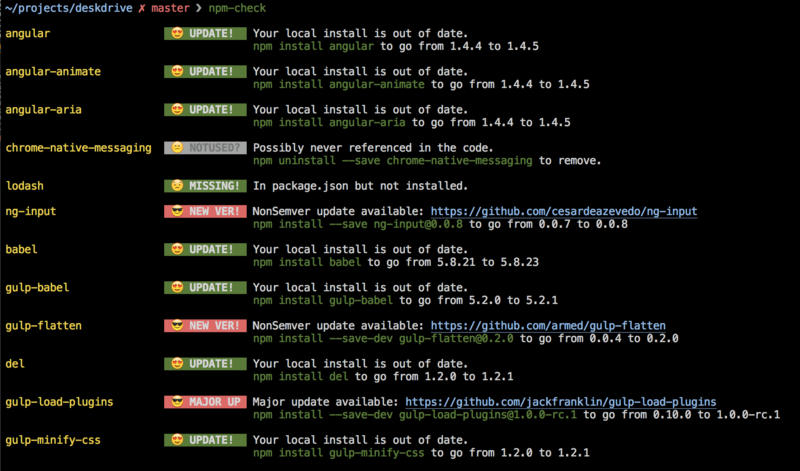 $ npm-check -gu       # Update globally installed modules by picking which ones to upgrade.